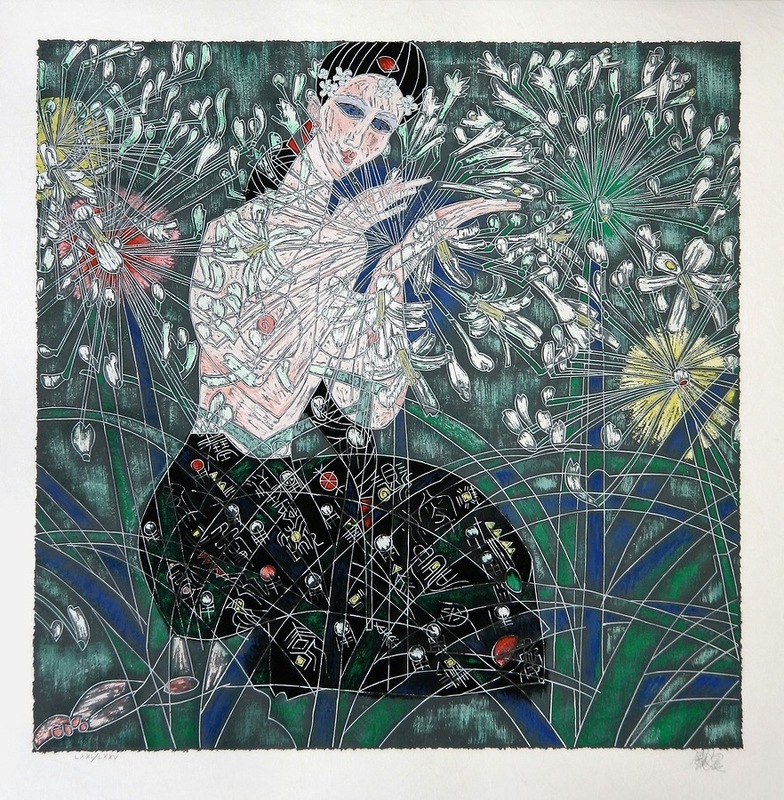 Jiang believes that behind each piece of art he does there is a story and behind each story there is a piece of art. Every image must communicate a symbolic meaning to the viewer – fertility, motherly love, strength, primordial human emotions. Jiang believes that all living things have a connection and are bonded together through harmony and peace that each of us struggle to maintain. “Morning Flowers” encapsulates this artistry.